Component Model Numbers 612T Click here to open photos and videos of this item. Engine Controls Click here to open photos and videos of this item. Crusher/Screen Controls Click here to open photos and videos of this item. Hour Meter (pre-inspection) 2,268.9 Hours Click here to open photos and videos of this item. Hour Meter/Odometer 2,269.2 Hours; Operational hour meter - IronPlanet makes no guarantees as to actual hours/miles; we can only report what can be visually observed. Click here to open photos and videos of this item. Make and Model Yanmar Engine Click here to open photos and videos of this item. Conveyor Cylinders Click here to open photos and videos of this item. Power Travel Drive System Click here to open photos and videos of this item. Feed Hopper Click here to open photos and videos of this item. 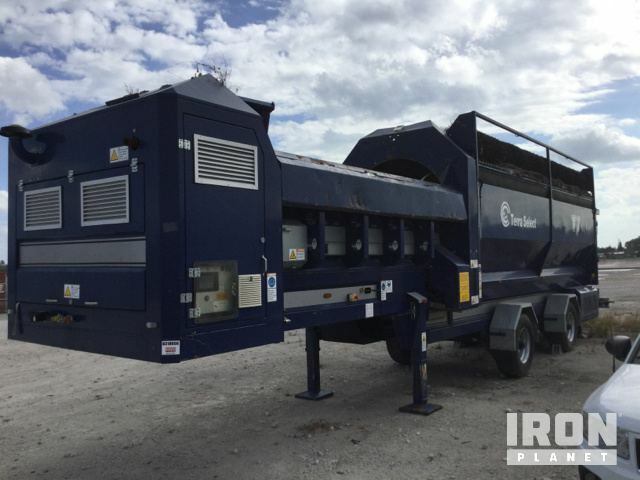 Feed Conveyor Condition 36" Wide feed belt Click here to open photos and videos of this item. Feed Conveyor Frame Click here to open photos and videos of this item. Feed Conveyor Drive Motor Operational Click here to open photos and videos of this item. Feed Conveyor Rollers Click here to open photos and videos of this item. 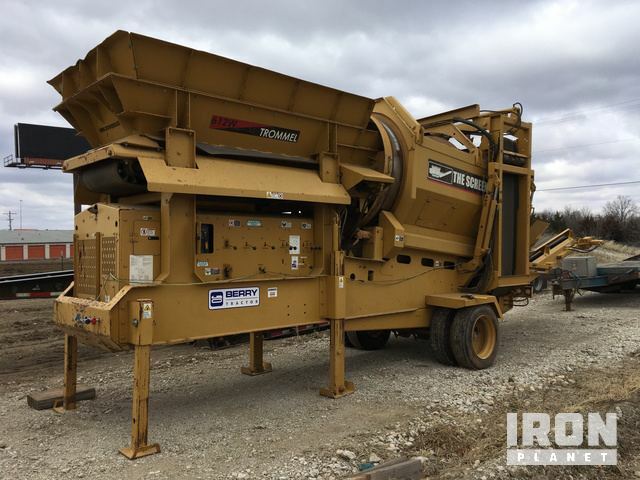 Feed Conveyor Head and Tail Pulley Click here to open photos and videos of this item. 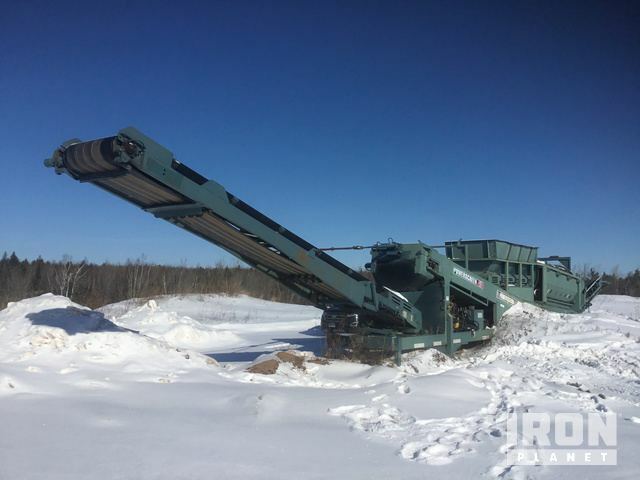 Discharge Conveyor Condition Click here to open photos and videos of this item. Discharge Conveyor Drive Motor Operational Click here to open photos and videos of this item. Discharge Conveyor Rollers Click here to open photos and videos of this item. Discharge Conveyor Head and Tail Pulley Click here to open photos and videos of this item. Screen Deck Click here to open photos and videos of this item. Overall width (outside to outside of shoes) 8' 3"
Shoe Width 16" Track shoes Click here to open photos and videos of this item. Grouser Height Left Side: 18 mm; Right Side: 17 mm Click here to open photos and videos of this item. Track links Click here to open photos and videos of this item. Pins and Bushings Turned? No Click here to open photos and videos of this item. Pins and bushings Click here to open photos and videos of this item. Carrier Rollers Click here to open photos and videos of this item. Track Rollers Click here to open photos and videos of this item. Idlers Click here to open photos and videos of this item. Sprockets Click here to open photos and videos of this item.